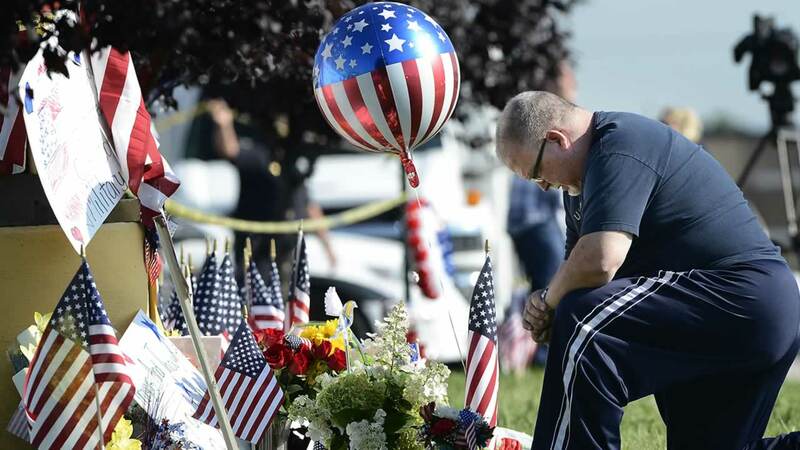 CHATTANOOGA, TN -- Three-thousand flowers were given anonymously to show support for the friends and family of five slain service members in Chattanooga, Tennessee, according to a local report. The donor gave the blooms to the city of Chattanooga, which asked the United Way of Greater Chattanooga to assemble volunteers to prepare the red, white and blue blossoms for the funeral for Staff Sgt. David Wyatt. Wyatt who was one of five military service members killed by a gunman last week at the U.S. Naval and Marine Reserve Center. On Wednesday, more than 40 men, women and children met to clip and de-thorn the flowers and place them into pails of water. "My heart is broken," said Barbara Ware, a military veteran who served in Desert Storm. "As old as I am, I thought this was something that I could do," said another volunteer, Bea Hicks. "I love those people who made the ultimate sacrifice to keep our freedom and I wanted to help." More volunteers will distribute the flowers after the burial service at the Chattanooga National Cemetery. The burial will follow Wyatt's funeral.